Concert musician whose work was highly acclaimed and awarded. He was known for his mastery of Ravel, Schumann, and Chopin. 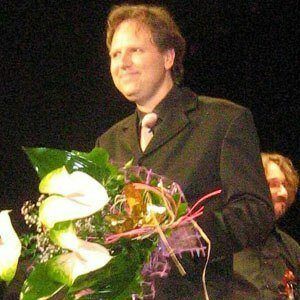 He became in 1990 the first American to win two high-powered awards: top prize at Warsaw's International Chopin Competition and the Tchaikovsky International Competition's bronze medal. He was also a chamber music performer, collaborating with such groups as the Tokyo String Quartet, the Endellion String Quartet, and the Panocha Quartet. His family recognized his talents early on, and he was prepped for a successful professional career by the time he was 17. His musicality was highly praised by conductor Stanislaw Skrowaczewski, one of Arthur Rubinstein's collaborators.